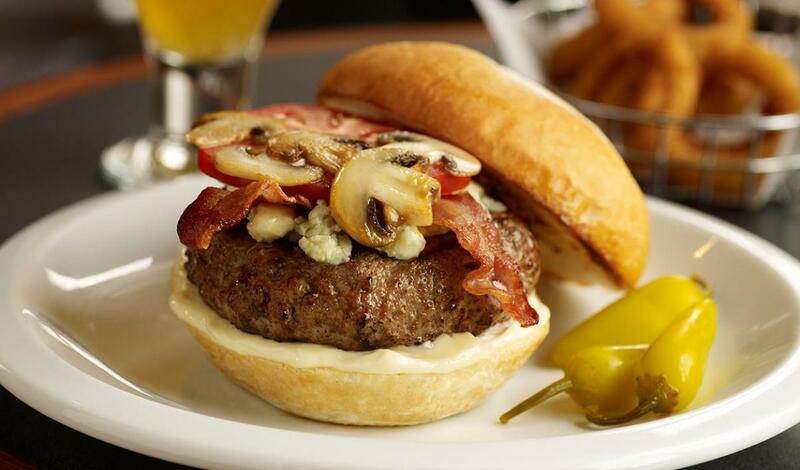 Made with rich blue cheese, extra crispy bacon and Roasted Garlic Mayonnaise. Grill or broil ground beef patties until desired doneness. When patties are nearly cooked, top each with blue cheese. Cover or place under salamander until cheese melts. Spread buns evenly with prepared Roasted Garlic Mayonnaise and build burgers with remaining ingredients.